Rigid High Efficiency Air Filters - Air Filters, Inc.
- High density, microfine, glass media laminated to grid backing. - Full radial designed pleats in box or header style. - 3 efficiencies: 60%, 85%, or 95%. - Capacities for 500 to 2000 cfm. - 7 standard face dimensions with 2 optional depths: 6" or 12". 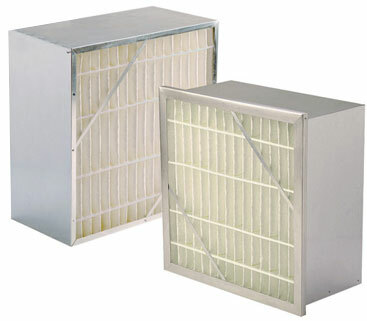 Air Filters offers filters in a wide selection of filter media. Have a Question or Need Assistance? Call us at 410-233-8700.